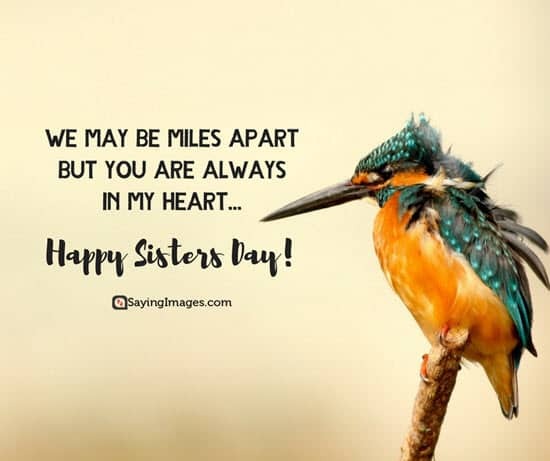 This special collection of Sisters Day quotes is dedicated to all of you with sisters out there. Sisters carry that unique bond only they can understand. They may argue, fight and annoy each other but, at the end of the day, they still have each other’s back. They share childhood memories, secrets and aspirations. Sisterhood, however, isn’t only limited to blood. 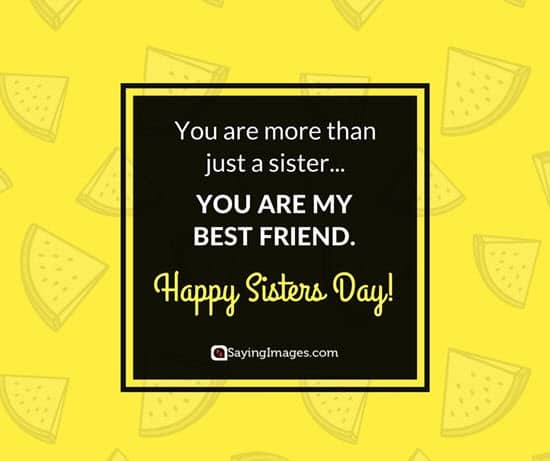 If you have half-sisters, sorority sisters, step-sisters or any person you consider a sister, then this special day is for you. Go shopping, have a picnic date or just surprise her with a special gift. 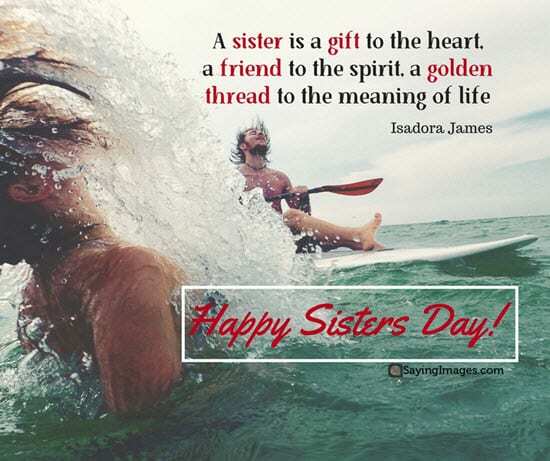 And with Sister’s Day fast approaching, it’s time to give you some of the best Sister’s Day quotes you can also use to express your appreciation. 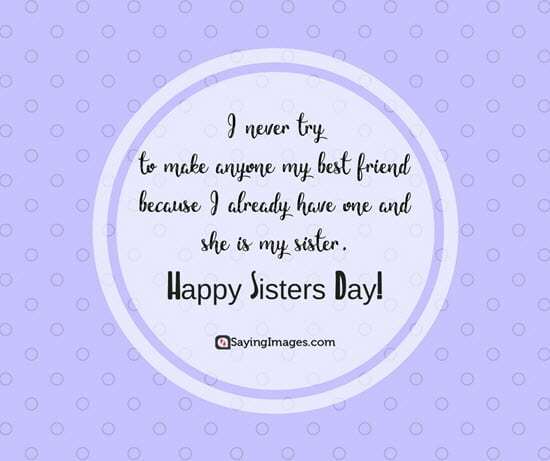 And there is no better sister than you! 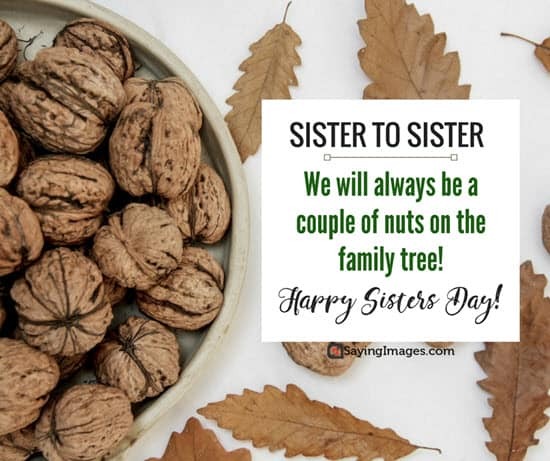 We will always be a couple of nuts on the family tree! You may be my twin but you’re one of a kind! 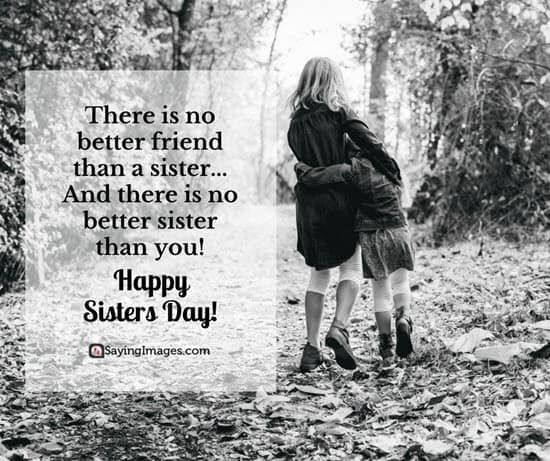 Happy Sisters Day! People come and go, friends change like the weather but I know my sister is here forever. I love you. 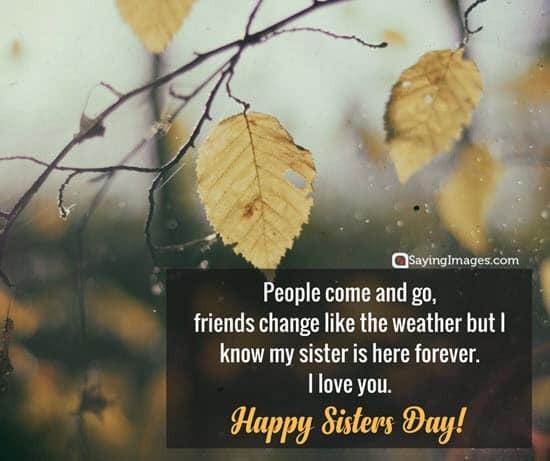 Happy Sisters Day! Hi, Sis! I always got your back! 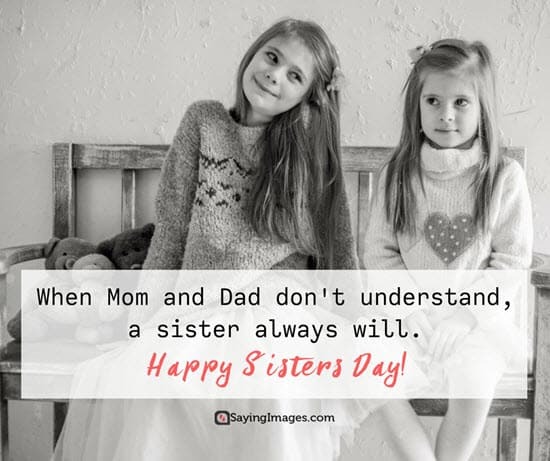 Happy Sisters Day! 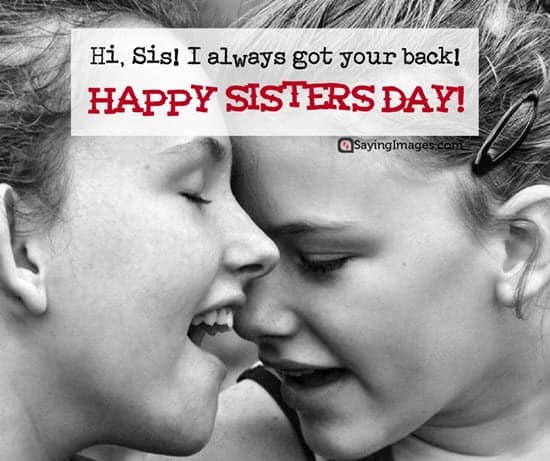 With these sister quotes, you can make your sister feel special on this special day. 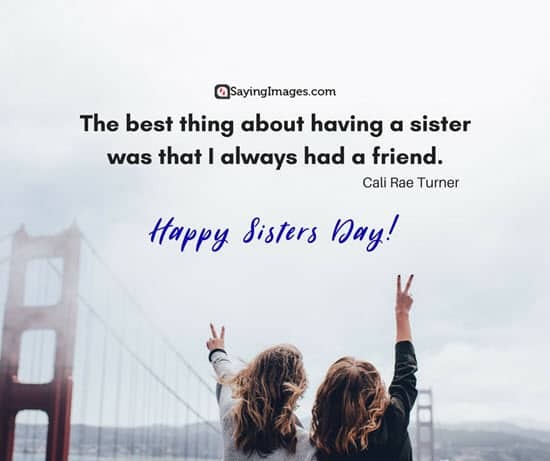 Feel free to comment below if you have other sister quotes you’d like to share!